At MidAmerica Basement Systems, we specialize in crawl space repairs of all types. If you're experiencing a structural problem with your crawl space, we have a solution for you. 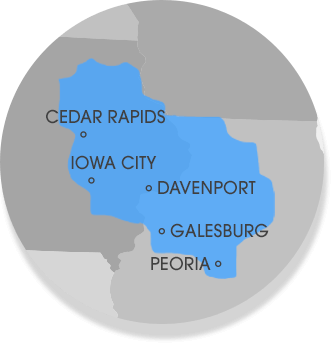 The SmartJack® is available for installation throughout Illinois and Iowa, including Davenport, Peoria, Waterloo, Iowa City and nearby areas.